Irene, a member of K-pop girl group Red Velvet, is the new face for the world’s most-sold liquor brand, Chamisul soju, of Hite Jinro Co.
South Korea’s leading liquor maker Hite Jinro Co. announced Friday it picked Irene for its flagship soju brand Chamisul which usually features the hottest female celebrity of the time. Irene, 27, has “outstanding star quality in the brand reputation survey, making her the ideal model for the Chamisul soju brand to enhance communication with the younger generation,” said a marketing director at the brand. Hite Jinro expects promotional activities with the K-pop musician would help enhance its brand awareness and further boost demand for its liquor labels amid rising popularity over the Korean pop culture. “I’m very happy to be the new Chamisul model. 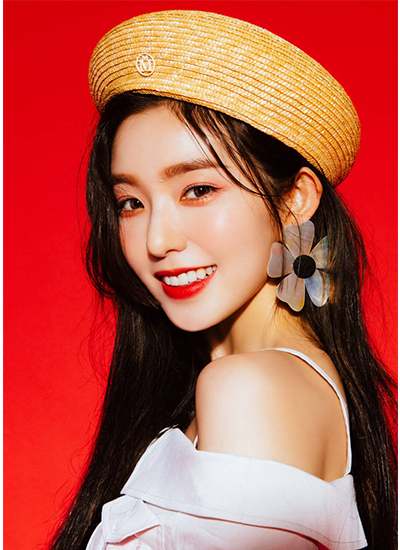 First and foremost, since I became the model of a national representative brand, I will try to help the brand grow,” said Irene after the news. The news came after the company’s four-year term with previous model IU, solo artist, ended. IU had been the face of the liquor brand for the longest period since the liquor hit the market. With her four-year loyalty to the brand, Chamisul hit the 1 trillion won milestone in yearly sales in 2016 for the first time in 18 years since the launch. According to U.K.-based IWSR Magazine, Jinro soju was the world’s best-selling spirit brand in 2017 for the second consecutive year in terms of shipment volume.